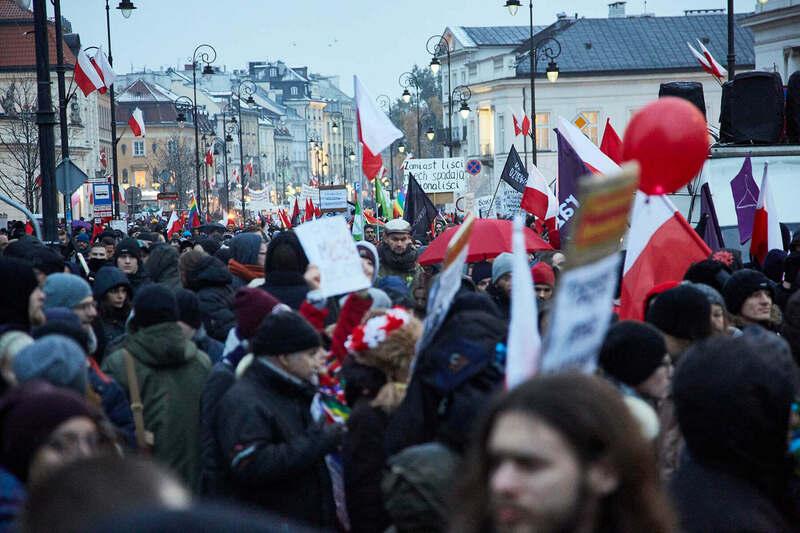 Polish independence day in Warsaw was marked by marches of nationalists, liberals, and antifascists. 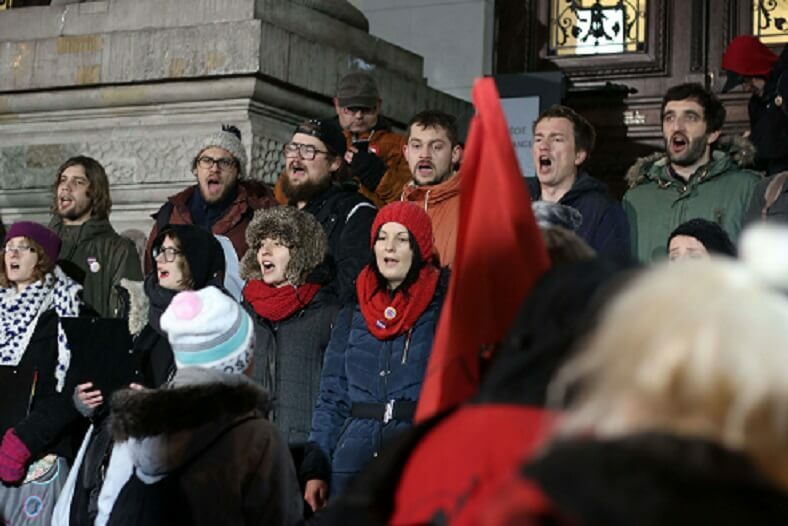 Photoreport by Marta Modzelewska and Tomáš Rafa. 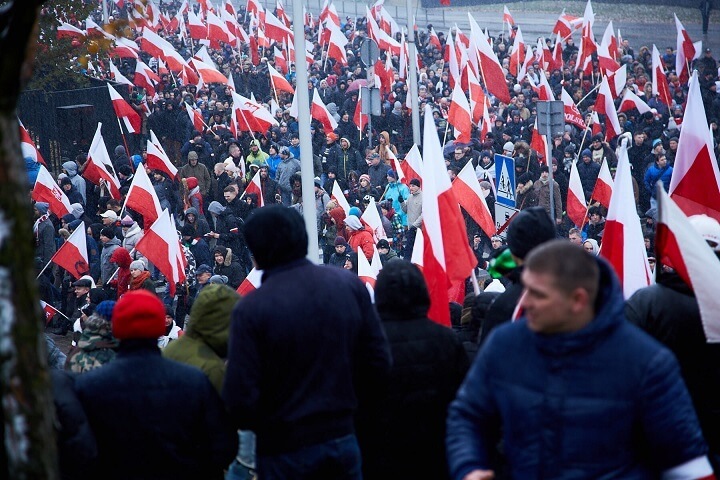 In the last years, 11 November has become the biggest annual event for nationalists and supporters of the extreme right in Poland. 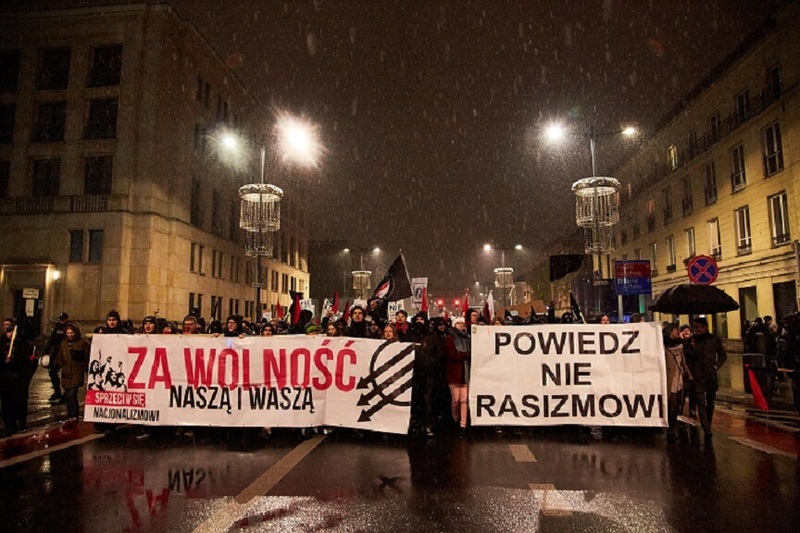 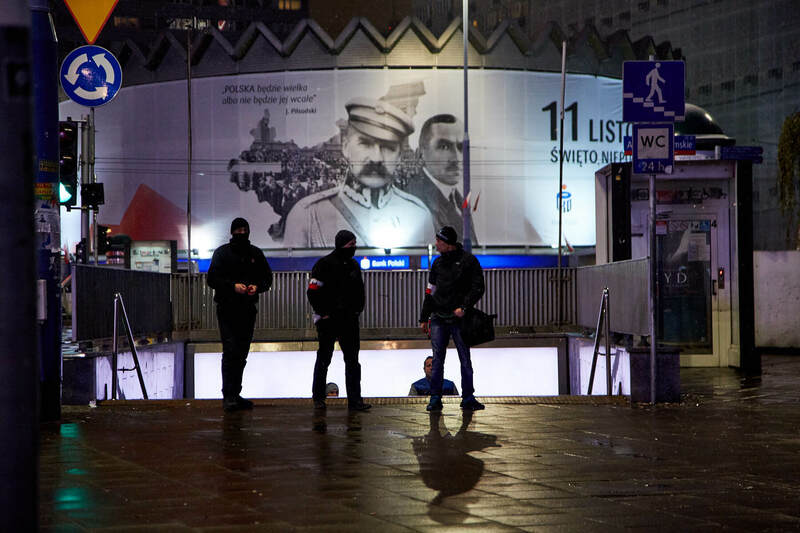 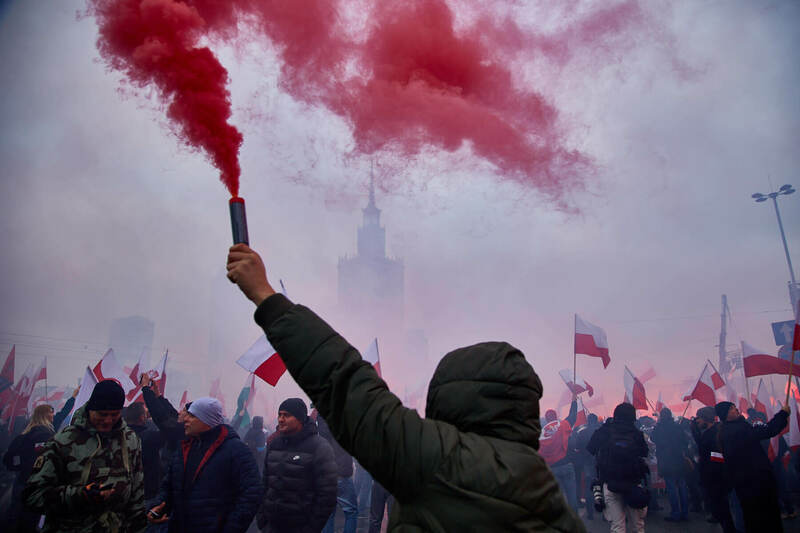 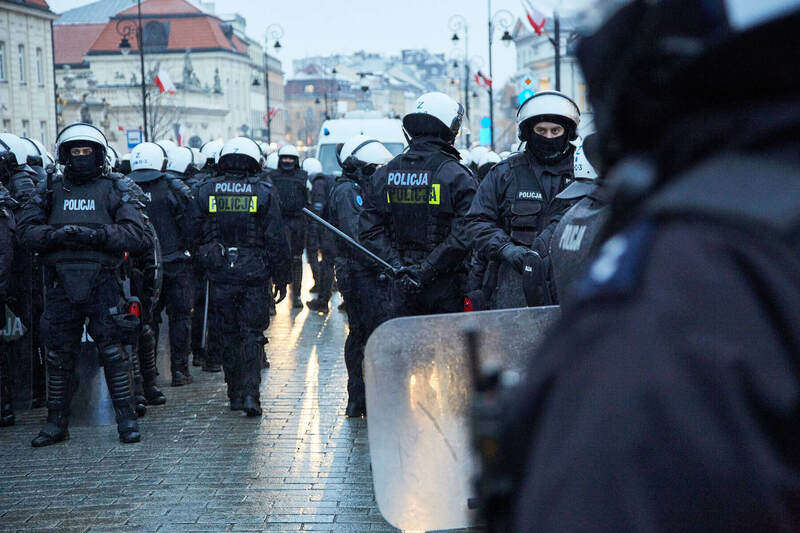 According to estimates, around 60 000 people marched with torches and smoke bombs, shouting nationalist, anti-refugee, anti-European, and anti-Semitic slogans through the streets of Warsaw. 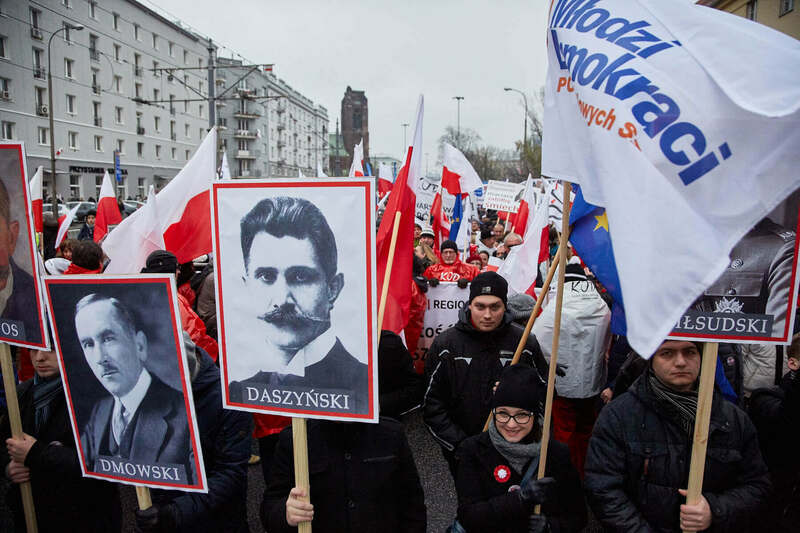 Although the ruling Law and Justice party did not officialy take part, President Duda sent a letter to the demonstrating nationalists in which he praised patriotic values. 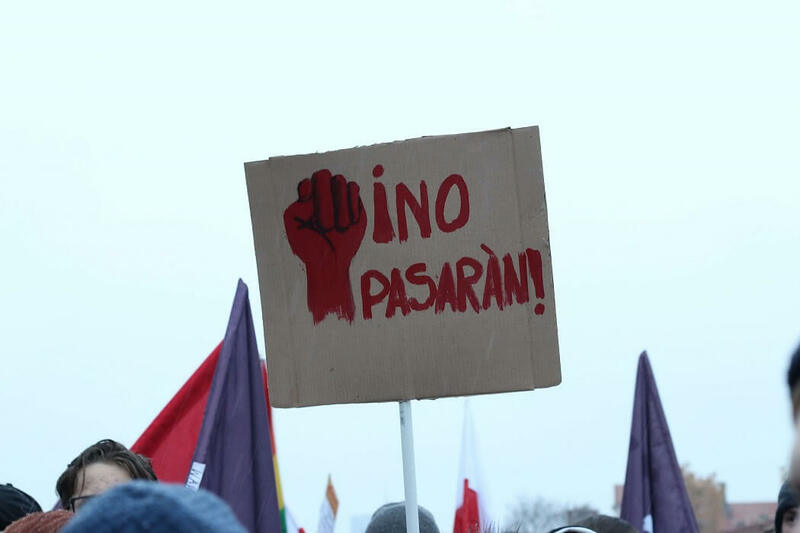 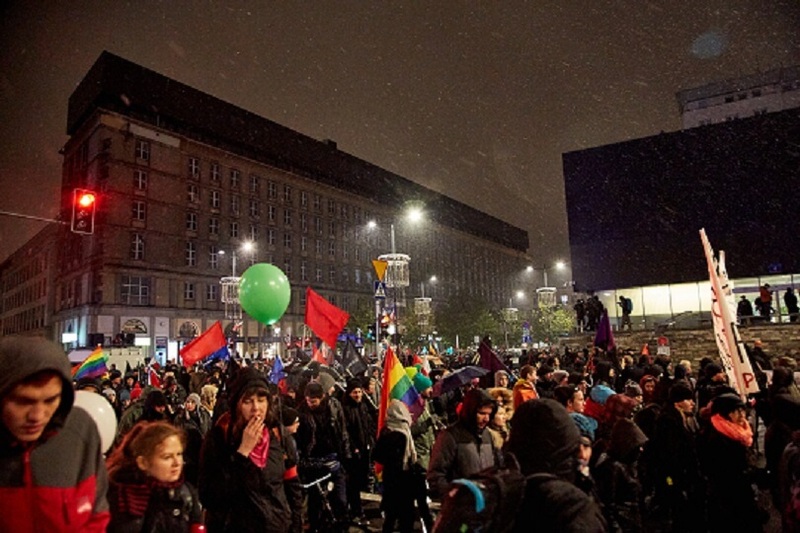 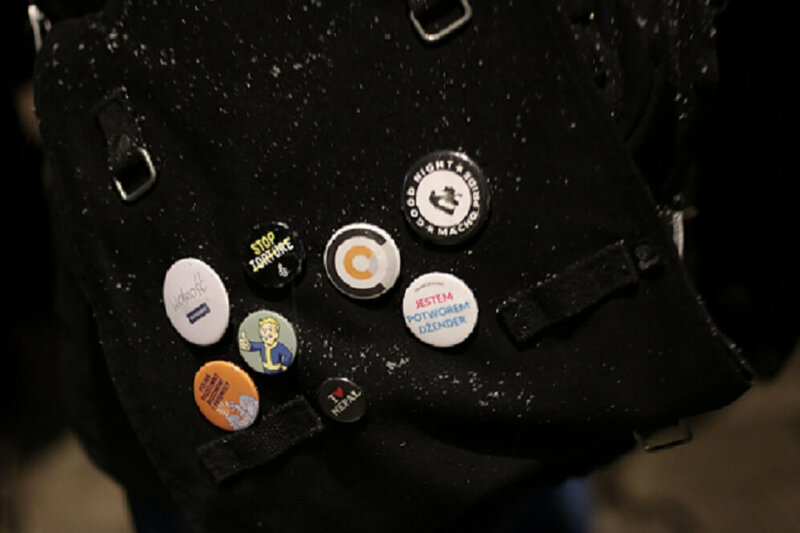 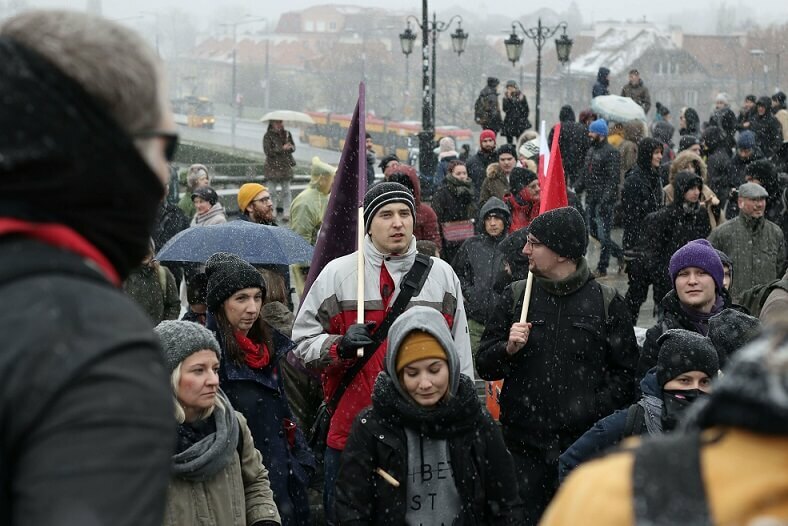 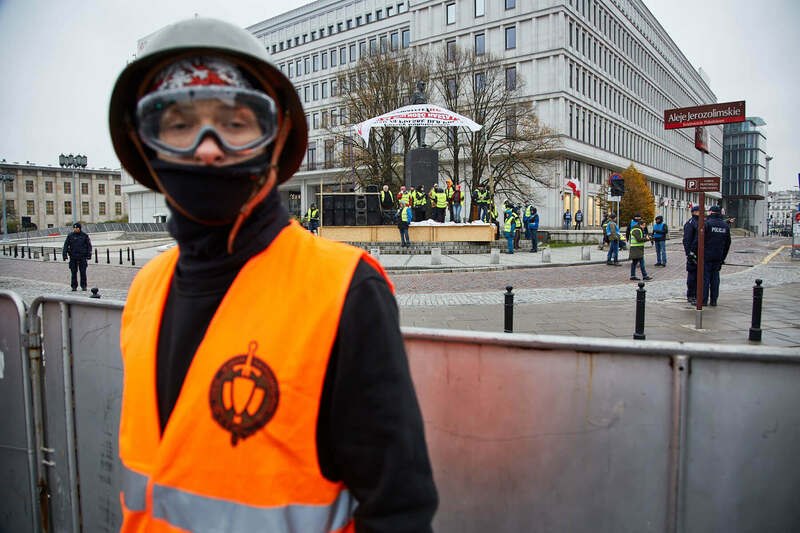 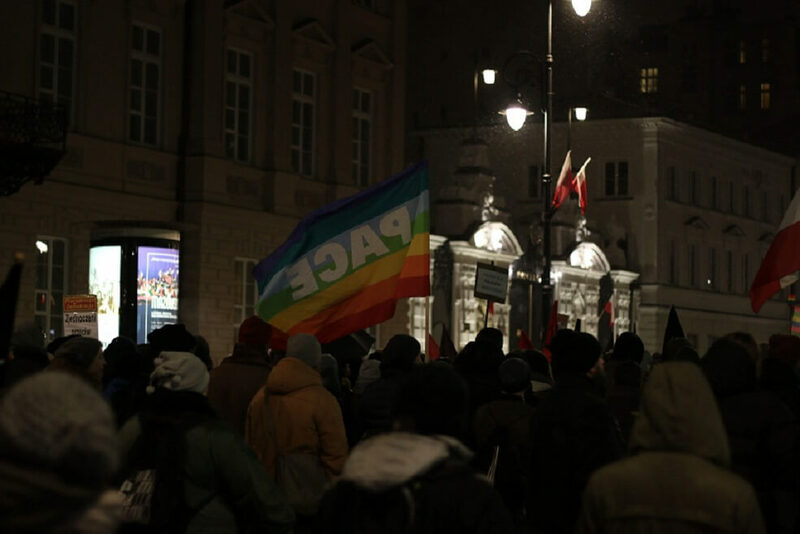 An alternative march was organized also by the Committee for the Defense of Democracy (KOD), an umbrella organization bringing together the liberal opposition, which declared a pro-European orientation and criticised the government. 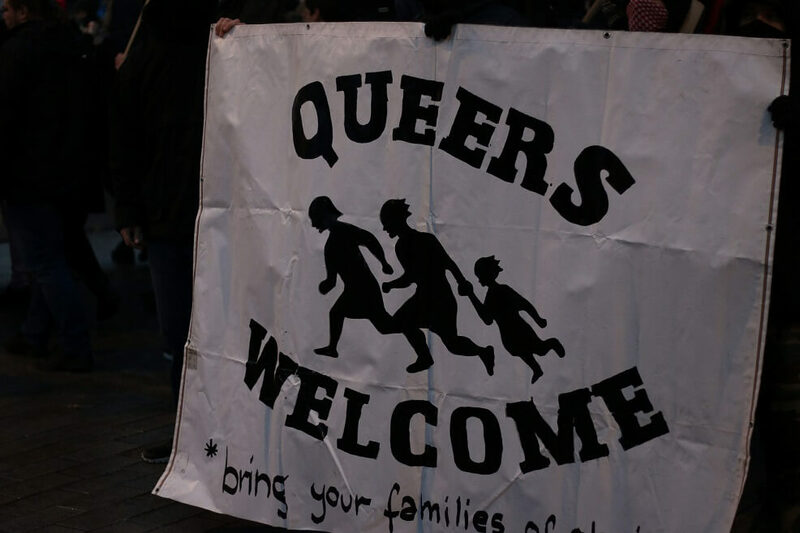 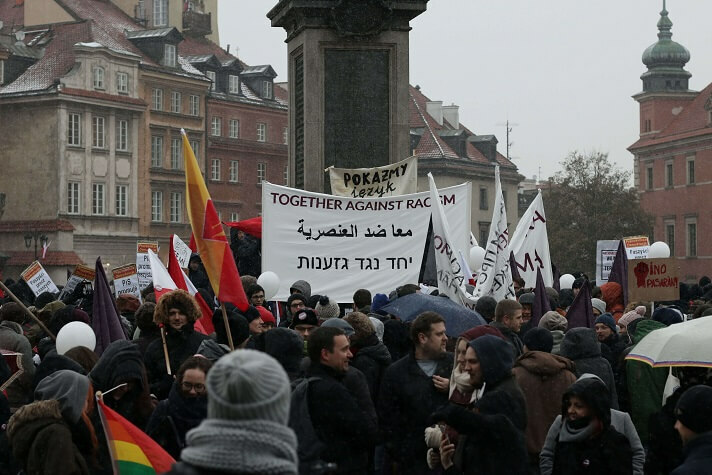 Later in the afternoon, over 1000 people gathered at an anti-fascist demonstration, organised by anarchist organizations and the Razem party, in order to protest against nationalism, racism, and xenophobia and in support of openness and solidarity. 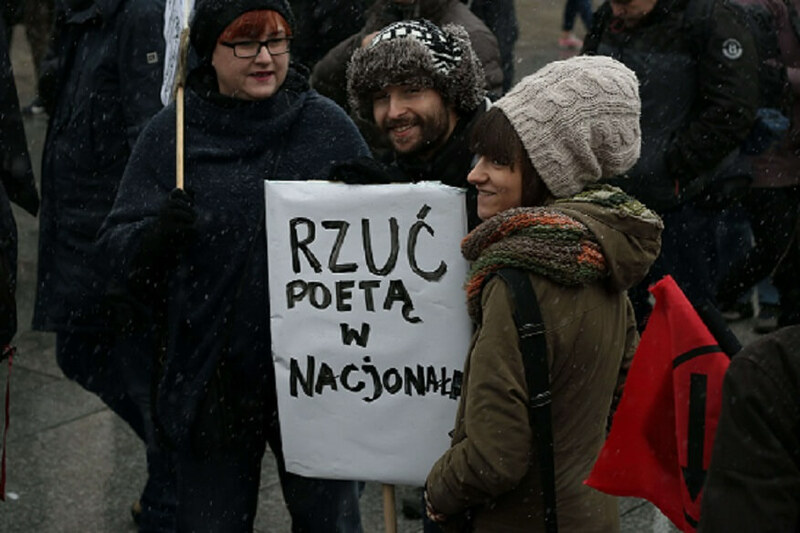 Marta Modzelewska is a photographer, activist and member of Krytyka Polityczna.